If there is one thing you do not want to overlook on your Volvo, it's the tires. A good tire is durable, reliable and designed for the vehicle it is on. Don’t just trust anyone for your next set of tires, trust the experts at Uptown Volvo Decarie. At Uptown Volvo Decarie, our tire centre ensures that you have the right tires for the season on your Volvo every day of the year. Our tire experts will work with you to provide you with the best tires for your Volvo car or sport utility vehicle today. They'll also make sure you get more for your money with a host of discounts and special offers on all our Volvo tires in stock. At Uptown Volvo Decarie we will be able to help you in obtaining the right tires for your Volvo vehicle. Come and meet us today at our state-of-the-art tire centre. We are waiting for you at Uptown Volvo Decarie. At Uptown Volvo Decarie, we stock the best tires, from Nokian to Michelin to Bridgestone. 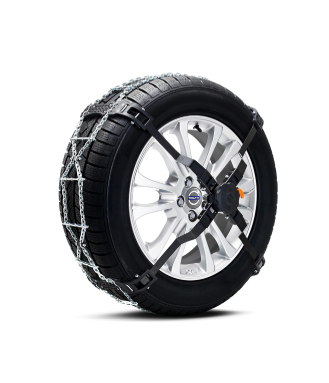 In winter, we have the Bridgestone Blizzak, the Michelin X-Ice or the Gislaved NordFrost for your Volvo sedan, wagon or sport utility vehicle. We also have a wide range of summer tires that are in stock and ready to go. We can store your tires if necessary, and we will install the tires you bought on site. If you do not know if your tires are still in good condition, our experts can help you too. Come to Uptown Volvo Decarie today and let us find the right tires for your Volvo. Contact us today to make an appointment and do not forget to check our special offers and promotions.